Whatever it was, I’ll never buy a can of refried beans again. 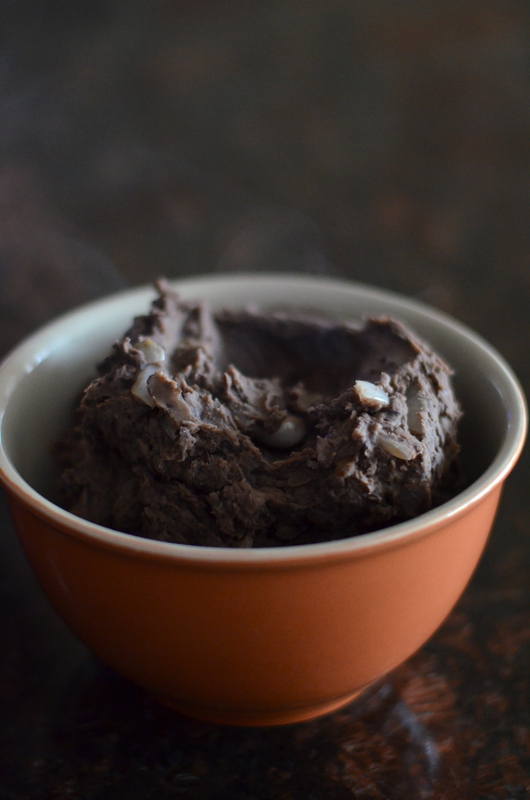 This was such a quick and easy recipe and the results were amazing. I ended up adding more cumin to mine (I’m a cumin addict) and the flavor and texture turned out great! I was never a bean person until after college. I was the kid who ate around the beans in my chili. I recall asking my Mom to omit the beans from her chili at one time…she didn’t do it. Probably because then it wouldn’t be chili it would just be ground beef soup. Less appetizing I guess. It’s amazing how things have changed! I now love beans and all legumes and always have a couple cans of garbanzo beans, Cannellini and black beans in my pantry. 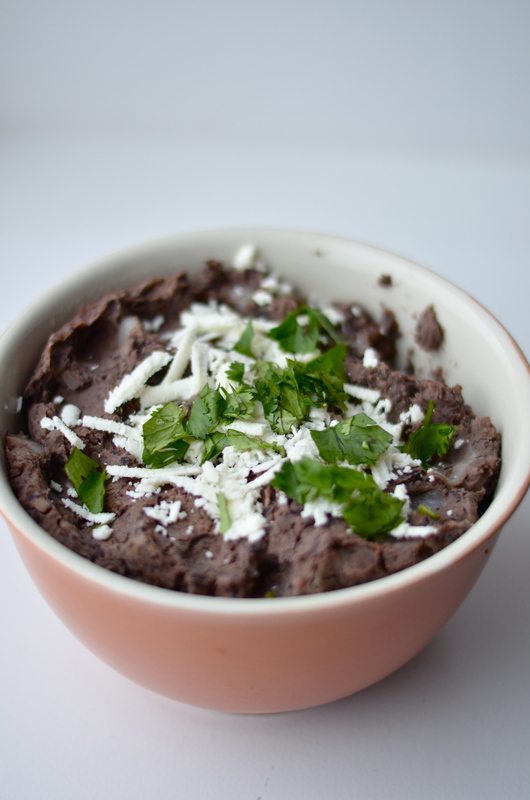 These beans are a fun addition to any fiesta you throw. We served them with tacos, rice and all the fixin’s. The leftover beans were actually better and I would recommend that, if you can, make these a day in advance and then reheat them in the oven until they are warmed through. Then top them with cheese and cilantro. The flavors meld together over time and they get even better! We received 5 inches of snow yesterday and I refuse to think about it. Instead, I’m going to think about warm weather while I make some spicy Mexican food, pour a margarita and wait for spring to arrive for good! Pulse 2 cans of beans in a food processor (or you can mash by hand with a potato masher once you add beans to cooked onion and garlic mixture (I thought the food processor was way easier) until they reach a smooth consistency with still a few bean pieces remaining (again, more or less depending on preference). Heat oil in a large pan. 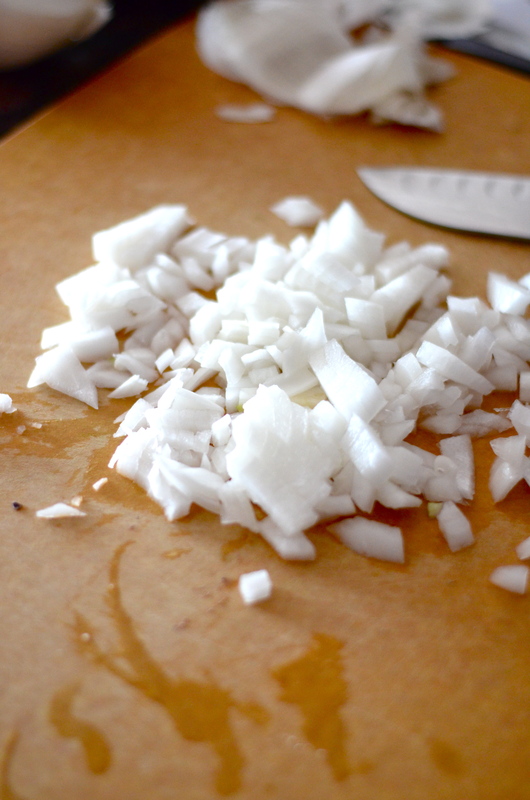 Add onion and cook until translucent and soft. Add garlic and spices (more or less spices to taste as you go). Cook for about one minute and then add processed bean mixture. Mix as well as you can, adding water as you go until you reach a desired consistency. 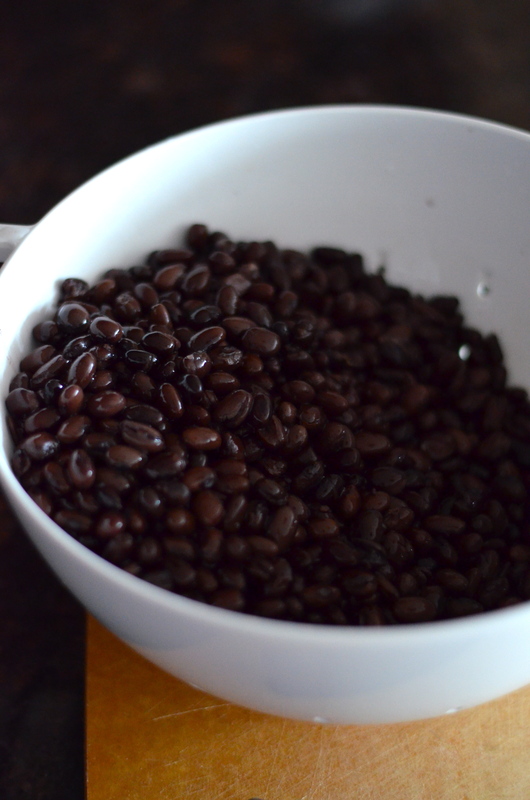 You can keep beans in pan as you do this or transfer them to a bowl if you’re having a hard time mixing. Add spices, salt and pepper until you reach a desired taste. 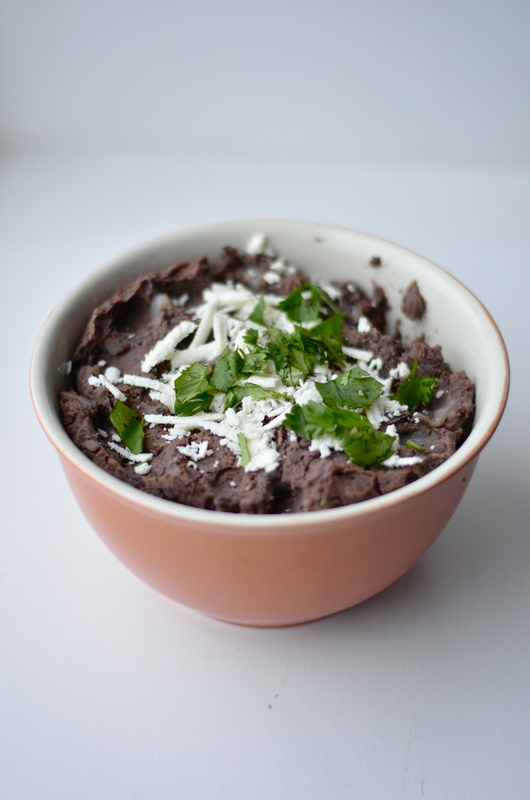 Serve hot with a sprinkle of fresh, chopped cilantro and queso fresco cheese. I love beans and can’t wait to make this! 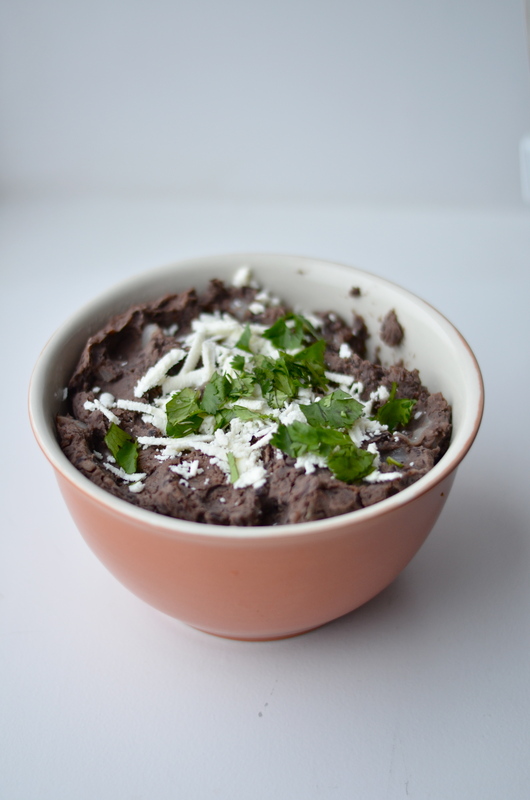 Refried black beans are so good! 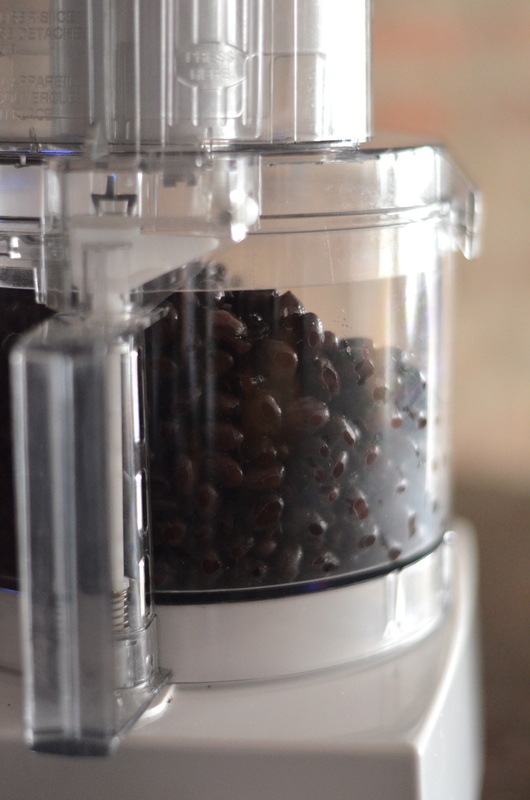 I love pretty much all beans…. These look super tasty! 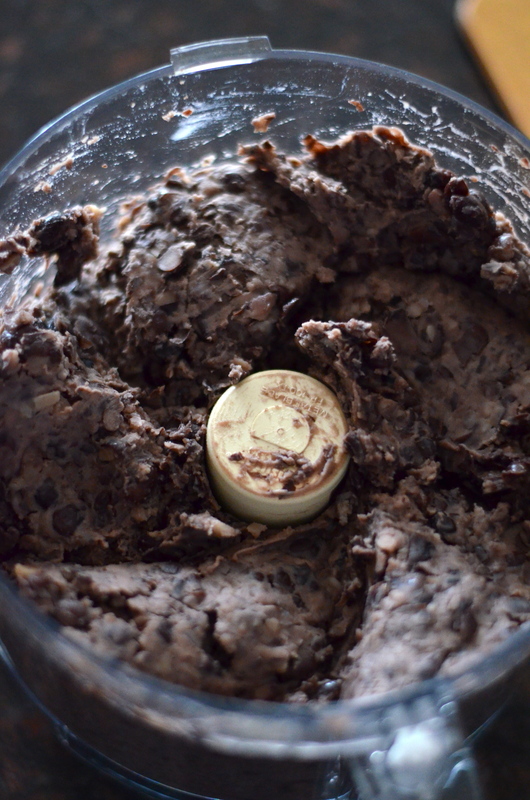 I love refried beans, especially the ones I make myself.